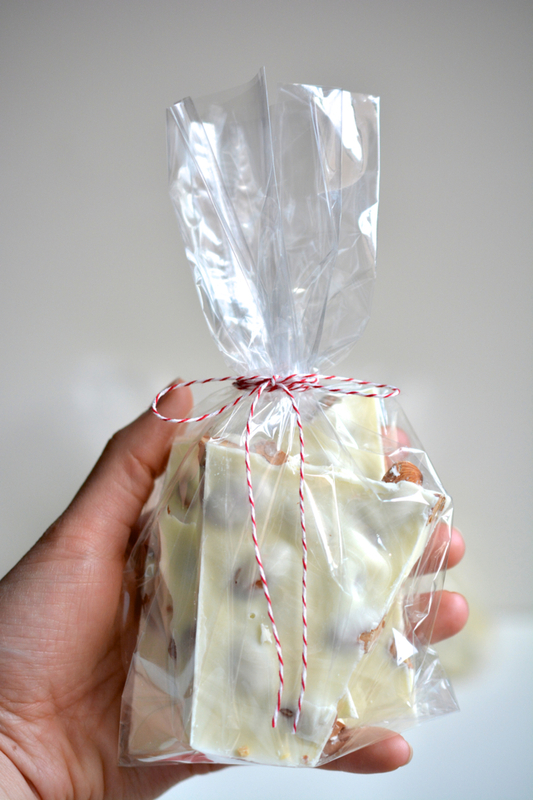 Christmas is only three days away and if you are still shopping for gifts, I recommend giving something homemade. 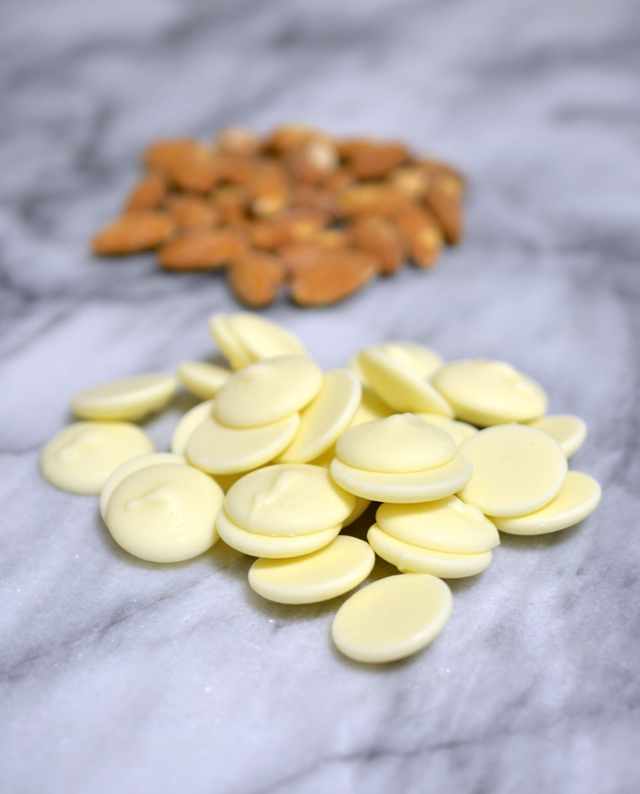 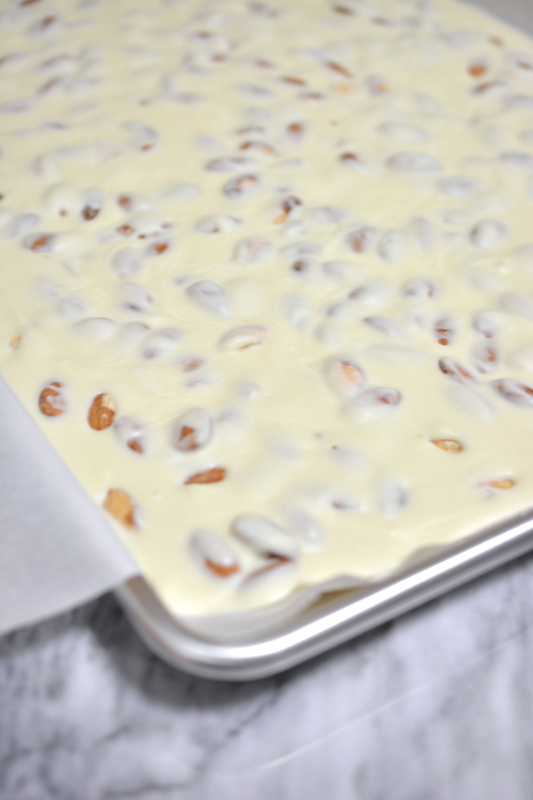 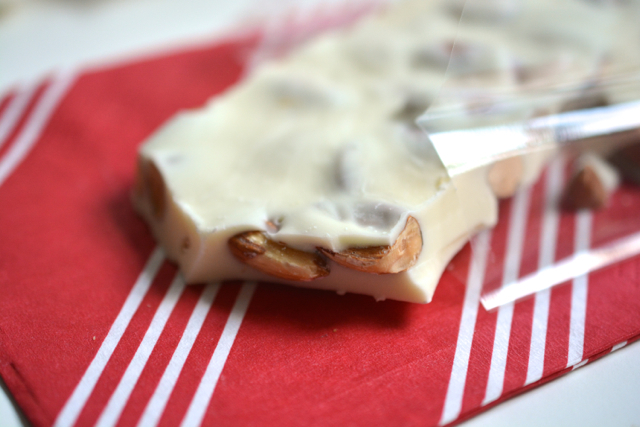 Each year, I make baked goods to give to my coworkers and this year I chose to make this super simple and easy almond bark. 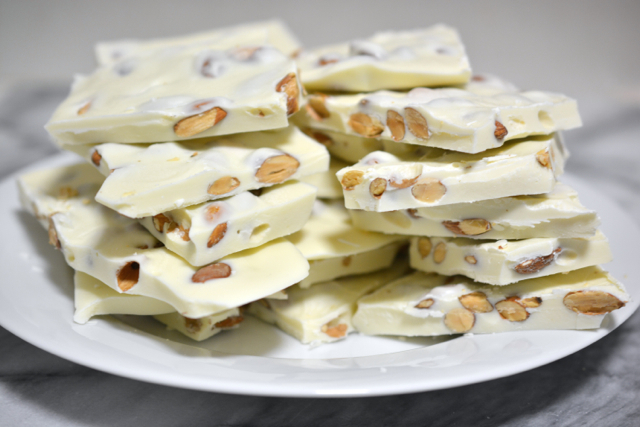 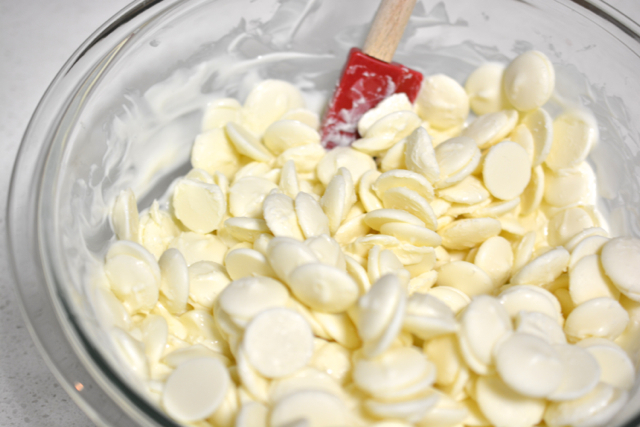 It only requires a couple of ingredients and still offers the personal touch of being homemade. 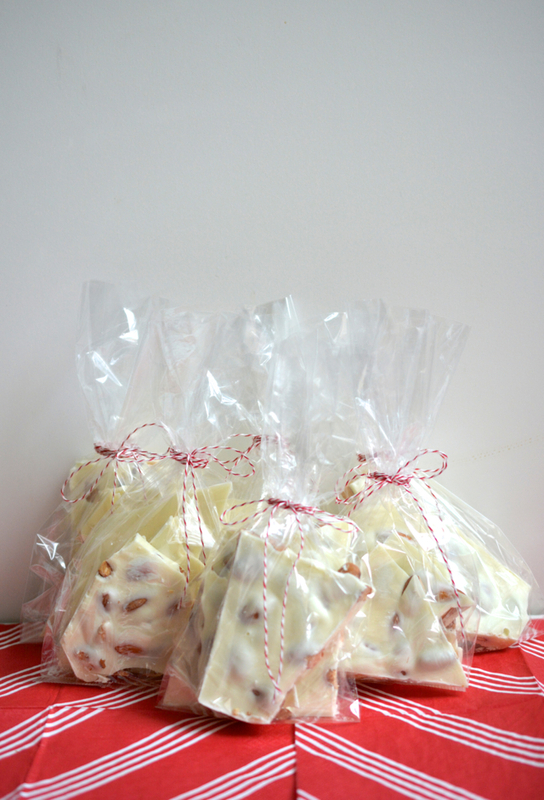 While it is great to give on its own, I think it would be even better with a bottle of wine as a hostess gift.